Overwatch’s new deathmatch map, Petra, is full of Pharah-friendly open spaces, jump pads, and a break-away floor, but like any crumbling ruin worth its salt, it’s also got mysteries. Shortly after the map went live earlier today, players started posting screenshots of laptops and data pads they found sprinkled around, with members of the Overwatch Lore Discord leading the charge. A message on one of these pads—written by a previously unheard of character named “H. Faisal”—connects an excavation site on Petra to excavations on other Overwatch maps that, up until now, people thought were just window dressing. Ilios is an Overwatch map set in Greece, and “the new project in Thailand” presumably refers to the recently added Ayutthaya capture-the-flag map. 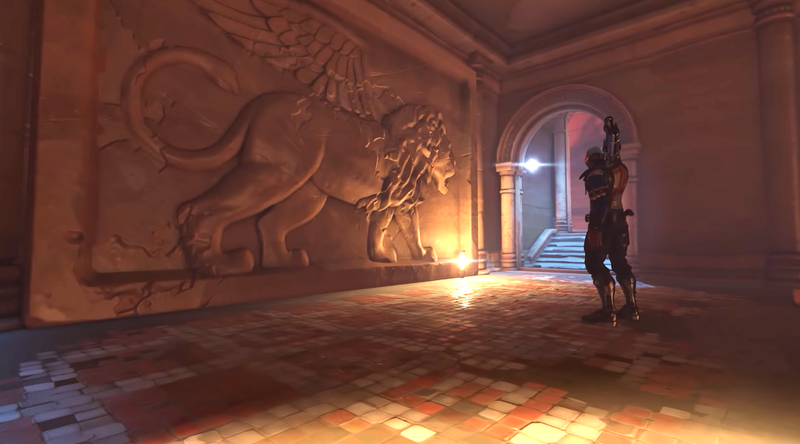 Those Greek statues already exist in Overwatch, on Italian map Rialto, Greek map Ilios, and Widowmaker origin story map Chateau Guillard, specifically. As for where this all leads, that’s still anybody’s guess at this point. Some are speculating that Overwatch’s next hero will be Greek—because of the statues—while others think a new level will be excavated from the site on Petra due to an offhand mention of “a hidden chamber” in one of the laptop messages. There’s also the possibility that one of the people sending these messages becomes Overwatch’s next hero. Me, though, I’m just wondering how this will all loop back around to Jetpack Cat, who has to be the next hero unless Blizzard wants frustrated fans of both cats and jetpacking to riot.